I am excited to introduce you to the rest of my Shared Feature Sponsors. I love getting to know them and am now excited to introduce you to them. Stop by their blogs, get to know them! I'm a new blogger who wants to capture how chaos reigns supreme in my life, thus The Chronicles of Chaos was born! I have 2 boys, ages 3 and 1, who keep me extremely busy and are the loves of my life, and I have a wonderful hubby who secretly loves to help me with my blog projects. Stop by and say hi sometime, I love meeting new people! I started blogging because I absolutely love to write. I've been keeping diaries and journals and writing little stories since I was 5 years old. It's a great outlet for me, no matter what subject I'm posting about. What is something you want people to know about you? 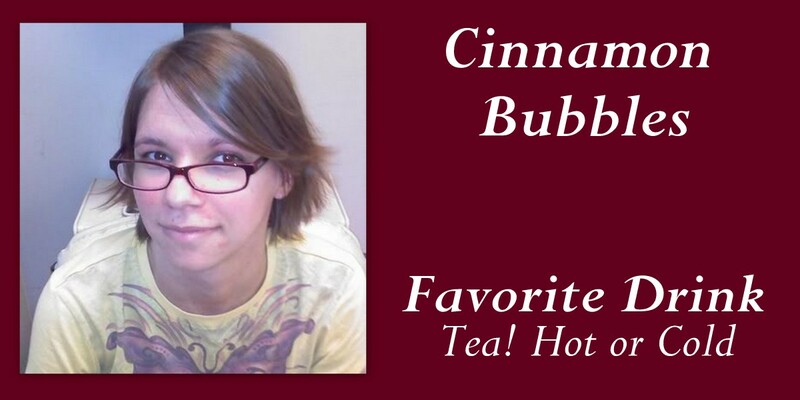 I'm Sara and I'm the Evil Mastermind...I mean writer behind Cinnamon Bubbles. I'm 24 and I live in New Jersey. What about the blog, you ask? Cinnamon Bubbles is a lifestyle blog, that has been running for about ten years now. Of course, it went though a lot of transformations to get to where it is now and I really enjoy sharing a window into my life with the world. You meet so many fabulous people! (and some not-so-fabulous, just like anything else!) I'd love for you to come along and join me too! I don't bite....hard! Hi! My name is Pamela from Pamela's Heavenly Treats, I must first say that without God none of this would be possible. I am a wife, mother to 6, homeschool teacher and I have a small Healthy Cupcake & Cookie business. Everything that I make is made with 100% Whole Wheat Flour and my secret ingredients. I also have a Etsy shop where I sell my healthy mixes. I started blogging because I wanted to promote my new healthy cupcake & cookie business, I succeeded in that , but now I am so excited for all the new friends that I have met along the way, and that so many people enjoy my healthy dessert recipes. I also opened up my shop for on the go people who dont have time to prepare an entire healthy dessert, a place where you can get the healthy dry mix for an awesome treat. I love the Lord with all my heart, without him everything that I have accomplished would not have come to pass. I have 6 kids (5 boys ages 14, twins 12, 8 & 6) 1 baby girl who is 2. I love my big family. Hi, I’m Ang (as in, short for Angela). I’m a mother, wife, daughter, sister, auntie, and friend, attempting to do it all – because, well, I want to. I’m also a writer, crafter, scrapbooker, amateur photographer and Pinterest addict. Long before Pinterest, I developed addictions to books, snapping memories of my kids, and chocolate desserts... or chocolate anything...or...ok, just sweets in general - don't judge me! Oh, and I also work full time at an awesome start-up, as an office manager, (this company has the potential to rock peoples worlds, in ways no one has imagined before). So maybe I have my hands a little full... but don't we all? I started blogging for a creative outlet, and to share some of what is going on in our lives with our friends and family. I am the proud owner of an Etsy shop called AngelFlowers, where I sell some of my handmade hair accessories. I love being creative. I’m married to my best friend and high school love (we've been together for more than half my life now, and married for 8 years). He's a very supportive albeit, handsome dorky guy - I have live-in tech support! He can also make me crazy, and I'm not talking about the good crazy: I'm a multi-tasker that swears by lists; he's a realist that detests them. 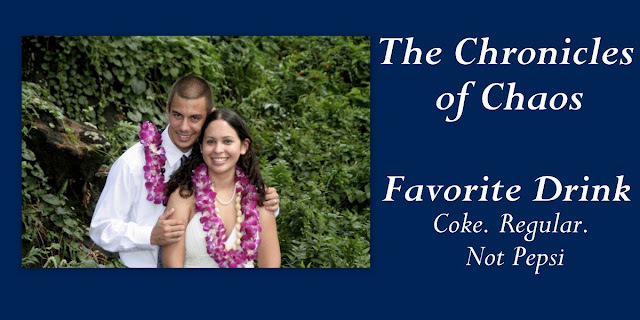 We have two beautiful children – ok, I’m biased, but who isn’t when it comes to their kids, right? Our sweet, silly, smart son, Ethan, is four, and our darling, dimpled, diva daughter Olivia (Livi) is one. Lol, Coke. Regular. Not Pepsi. Sounds like - Martini. Shaken. Not stirred. :) Thanks so much for this shoutout, you rock, Kim! Hope you have a lovely weekend.